12 Nov Bendigo nearly done but spring flush just begun. We have been talking about Victorian lamb yardings for a couple of weeks now. Firstly, they were lower than normal, then they rapidly picked up last week, to be much higher than normal. We thought it timely to take a look at seasonal supply trends across the major yards, and what this might mean for supply, and price, in the coming weeks. There is a strange dynamic in lamb markets, where for most of the year NSW contribute most of the east coast yardings, while Victoria has the largest slaughter. In the spring and early summer, Victoria briefly takes the mantle for strongest yardings, pushing east coast levels over 250,000 head. Figure 1 shows east coast lamb yardings and the impact Victorian yards have during the last two months of the year. During October, lower Victorian yardings saw total east coast yardings track below last year’s levels and the five-year average. The October dearth seems to have been caused by weaker new season lamb supplies at Bendigo and Ballarat. The Ballarat lambs might still be coming, but we suspect the Bendigo lambs were never there. The Bendigo spring flush is dwarfed when Ballarat and Hamilton get going in November and December. 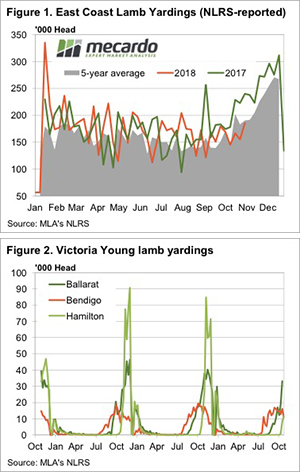 Figure 2 shows Ballarat last week was not far off its peak young lamb supply and the flow is just beginning at Hamilton, with 8000 last week and 11,500 head today. In November and December 2016, Ballarat and Hamilton yarded 593,000 head of young lambs. In 2017 it was 587,000, which is remarkably consistent, but the seasons were similar in terms of good spring rain. This year spring has been dry for Western Victoria, not disastrously, but dry enough to see plenty of producers contemplating turning off lambs which traditionally might have been shorn and carried through to the New Year. We are already seeing a good supply of restocker lambs keeping a lid on prices. Figure 3 shows the National Restocker Lamb Indicator is only marginally ahead of last year, despite the recent very strong finished lamb prices. With a big flush of lambs still to come out of Western Victoria, don’t expect store lamb prices to improve too much before Christmas. 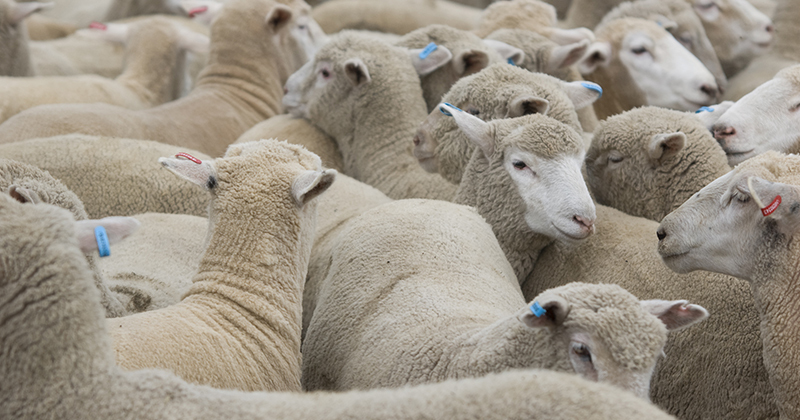 We have seen restocker lamb indicators hold well relative to the recent fall in trade and heavy lamb values, and this can be put down to the forward contracts on offer. However, if supply overcomes demand from restockers over the coming month or six weeks, restocker lambs might well become a hold as the spring flush of lambs ramps up. Victorian saleyards have been a bit slow in October, but supply from Hamilton and Ballarat is about to ramp up. Restocker lamb prices are holding relatively firm at last year’s levels but will face supply challenges. If restocker lamb prices fall there might be some tough decisions for those supplying lambs between now and Christmas.